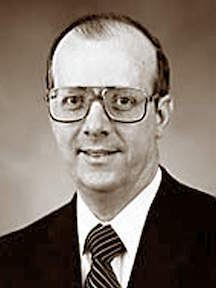 W. Don Ladd was a General Authority of The Church of Jesus Christ of Latter-day Saints and member of the Second Quorum of the Seventy from 1994 to 2000. He also served as a counselor in a bishopric, a branch president, a stake president, a regional representative, and chairman of the Church’s Public Affairs Council in Washington, DC. He was born on July 14, 1933, in San Mateo, Florida, and although his mother was a member of the Church, his father was a Southern Baptist so Ladd was not baptized until the age of 19. Ladd attended the University of Florida and served in the United States military during the Korean War. He was an administrative assistant to a US congressman and later became the assistant to Orville L. Freeman, US Secretary of Agriculture, where he worked for fifteen years. He was then appointed vice president of government affairs for Marriott International. Ladd and his wife, Ruth, were the parents of four children. He passed away on October 6, 2009. This page was last edited on 28 May 2017, at 23:20.